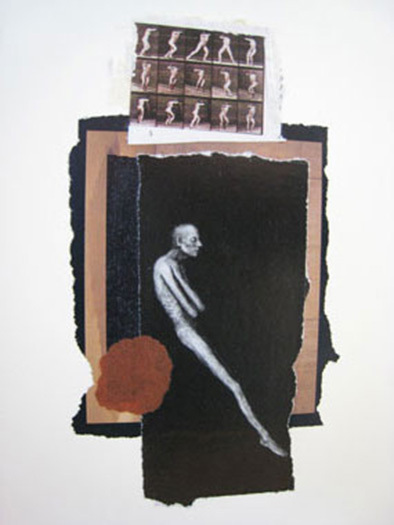 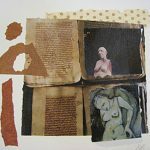 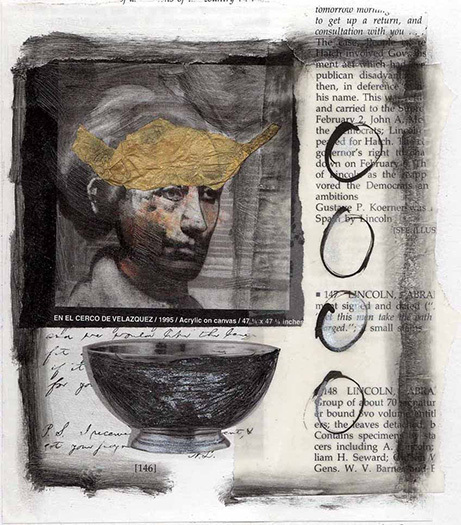 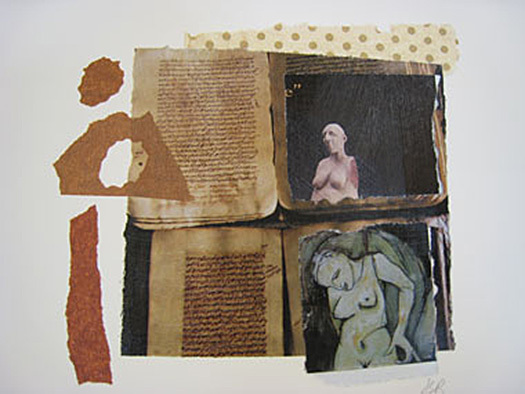 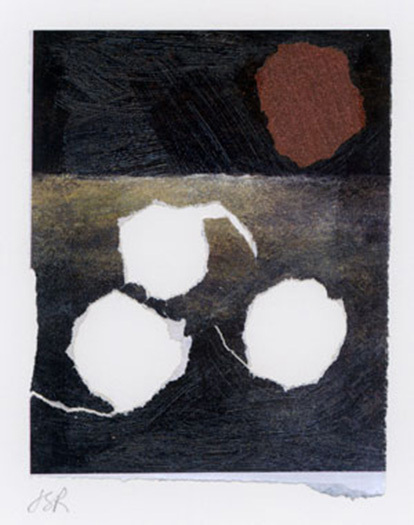 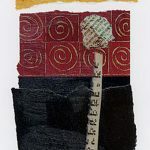 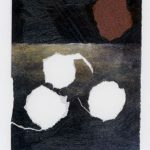 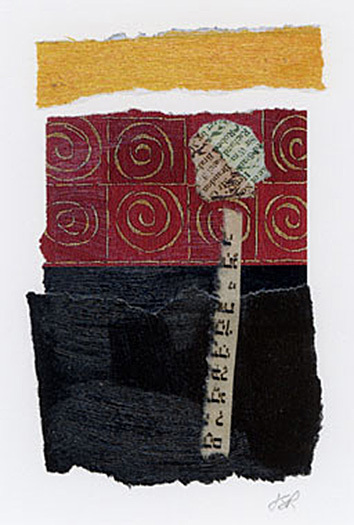 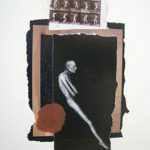 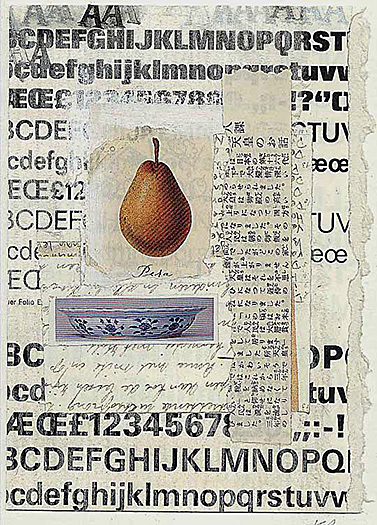 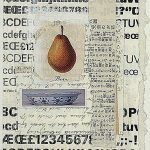 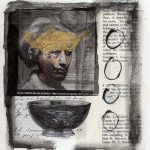 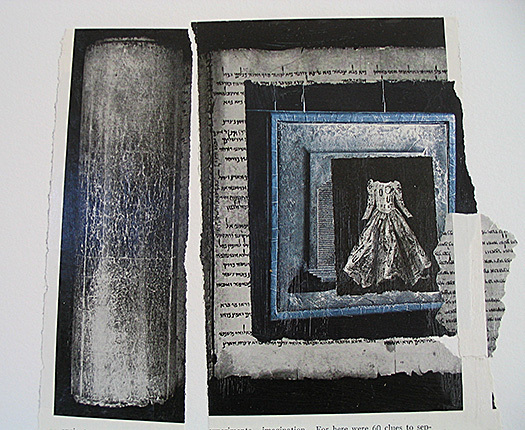 My gathering of collage materials is an on-going process, even a his­tor­i­cal one. 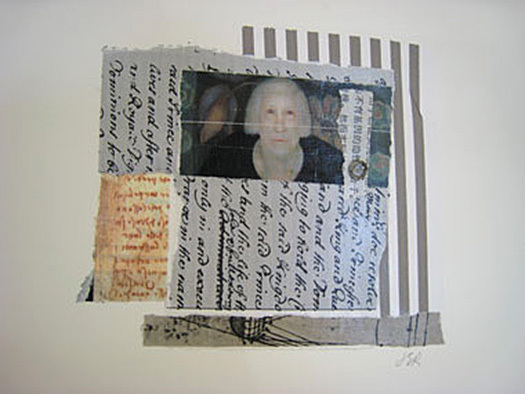 I generally use bits of found paper, kept layered in various small boxes, drawers and scattered over a work table. 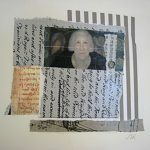 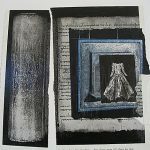 I find beauty in these scraps as I move and tear and position them into a balanced com­po­si­tion, evoking a mood, a personal dialogue.